Application Fee : Indian Postal Orders or Bank Draft worth Rs. 600/- drawn in favour of the Registrar, University of Jammu, Jammu-180006 encashable at Jammu post office/bank. Now Government has determined to take a common test for the positions of Teachers (Primary or Elementary level) in all schools of Central Government like Kendriya Vidyalaya (KVS) (Central Schools) , Navodaya Vidyalaya, Tibetan Schools etc. and schools of Union Territories like Chandigarh and Andaman & Nicobar Islands etc. This may be extended or adopted by private schools for teacher recruitment. The liability of this examination is given the Central Board of Secondar Education (CBSE). 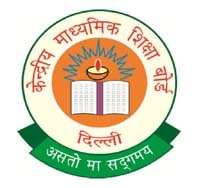 The Central Board of Secondary Education (CBSE), Delhi will be performing the Central Teacher Eligibility Test (CTET) for a person to be qualified for appointment as a teacher for classes I to VIII on 18/11/2012. Applicants can apply On-line for CTET-NOV 2012 on CBSE/ CTET website. Application Fee : Rs.500/- (Rs.250/- for SC/ST/PWD applicants) be remitted through Demand Draft in favour of the Secretary, Central Board of Secondary Education drawn in any Nationalized Bank payable at Delhi. Write your Registration Number, Name, Address, and Mobile/ Telephone Number on the back of the Demand Draft.